Steel siding is the most durable, longest lasting siding available to homeowners. There are many advantages to steel siding that include being resistant to dents and dings and lasting upwards of 40 years with minimal maintenance. and never needs to be repainted, meaning your steel-sided home will remain beautiful for years to come. That being said, steel siding can be painted if you ever want to paint your home a new color. At Custom Installations, we offer steel siding installation in a variety of colors, styles and textures to match your home and taste. We offer seamless steel siding to reduce the seams and the threat of gaps that could result in water, insect damage, or a higher rate of heat loss. 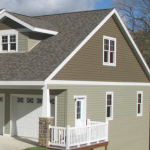 Our team can help you with choosing the best color and style for your home, and our expert siding installation crew will ensure your home is as beautiful as ever with your new steel siding. As the area’s premier siding installation company, we’ve gained the trust of homeowners in communities like Kenilworth, Highland Park, Winnetka, Glencoe and more. 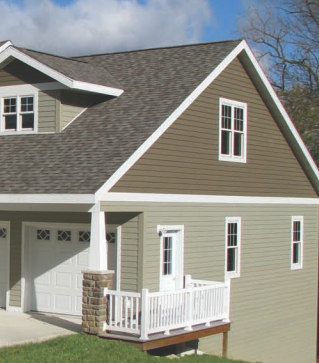 Contact us today to learn more about steel siding, the most durable and long-lasting siding available for your home.